Diverse Abilities communications manager, Jenny Pearce, has returned to her home comforts after climbing new heights and taking on the world’s second tallest mountain Kilimanjaro. In doing so, she raised over £6,200 for the charity that supports children and adults with disabilities in Dorset. 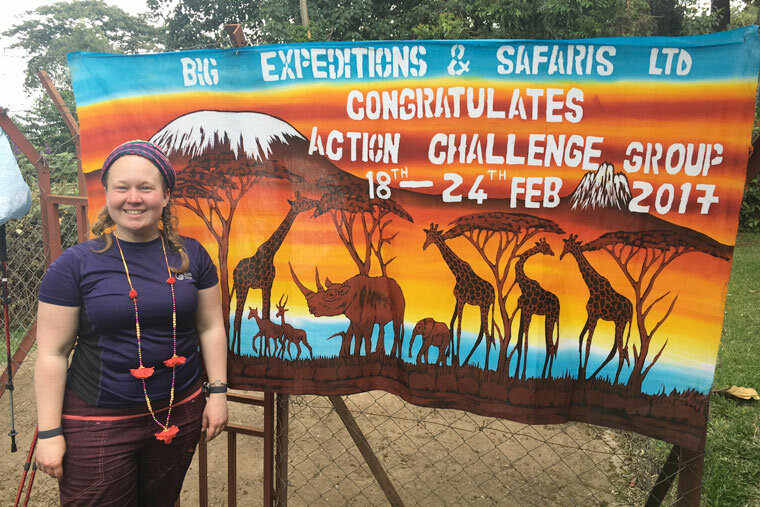 From 16 – 26 February Jenny took on the 5,895m mountain, walking the Lemosho route over seven days, accompanied by 19 team members. Jenny’s routine throughout her trip consisted of waking up at around 5am, having breakfast and being ready to start trekking from 7-8am. The longest day was an 11-hour climb, walking nearly 10 miles; 26,438 steps and 70 floors! On day six, trekking was not the only activity involved… Jenny and her team had to scramble up the Barranco Wall, only reaching the top after three hours. Jenny said, “I returned home a few weeks ago now and have finally recovered from what can only be described as one of the most incredible but physically exhausting and emotionally draining experiences of a lifetime. Despite not being able to breathe very well at times, being freezing cold, sleeping on a rocky floor, feeling sick and taking regular tumbles over the uneven ground… it was an unbelievable experience and one I will treasure for the rest of my life. As part of the challenge, Jenny aimed to raise £4,100 but smashed her target raising over £6,200. Funds were raised by through events including a quiz night, Clubbercise event, two colleagues having their legs waxed at work, a fashion show, an evening with ex-Chelsea player Ron Harris and various collections in local supermarkets. and to read more visit her blog www.steppingup.today.